The National Science Foundation has awarded a grant to Emory sociologists to study how women can gain legitimacy, and therefore be more effective, as workplace leaders. 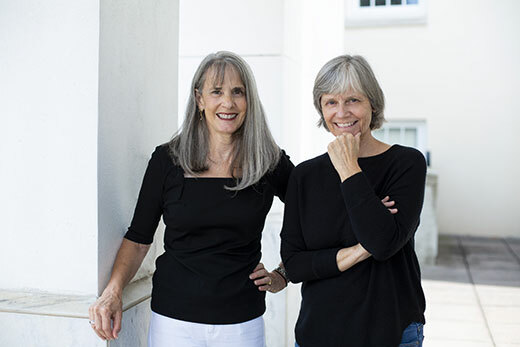 The National Science Foundation has awarded a grant to two sociologists from Emory College of Arts and Sciences studying how women can gain legitimacy, and therefore be more effective, as workplace leaders. Professors Karen Hegtvedt and Cathryn Johnson are developing a series of studies with the $248,000 award from the NSF’s Social, Behavioral and Economic Sciences division. The studies pose different scenarios to see how people decide if the right person is in a position of power. “We know that having the right person for the position of authority, known as legitimacy, will dampen feelings of injustice and maintain a successful workplace,” Hegtvedt says. “We want to flip that, to see how people gain that legitimacy in the first place,” adds Johnson, who is also the senior associate dean of Laney Graduate School. For instance, one scenario asks you to imagine yourself as a salesperson who decides to ask for a raise following a particularly successful year. When the manager pushes off your request to be considered at your next performance review, does that seem fair? Does it matter that your boss, who has been paying for additional training for you and your team during a three-year tenure, readily meets with you to hear your request? If the boss is a woman, does that change your sense of fairness? Drawing from their earlier research and other social psychological literature, Hegtvedt and Johnson have previously examined how trust plays into solidifying legitimacy, or the belief that the right person is in charge. The additional facets of that authority could have broad implications in the workplace, which, like the overall population, is growing more diverse. Over time, understanding how gender or race/ethnicity affect perceptions of legitimacy could create processes that cultivate authority — and therefore buy in — for all leaders. “I could see this data being used to create workshops that help organizations understand what factors play into the inequality for leaders who don’t fit the stereotypical image when they try to secure cooperation and ensure effectiveness,” Hegtvedt says. The professors designed a study on workplace dynamics earlier this year, conducting their first study using eight possible scenarios with student volunteers enrolled in sociology courses. The next three studies will focus on adult workers, using a national sample. By design, the studies look at issues of justice and trust. The first adult surveys will be conducted this fall. The final study, to be conducted next spring, will delve deeper into how workers view their own jobs, co-workers and work environment, to allow for additional factors known to contribute to views on legitimacy.